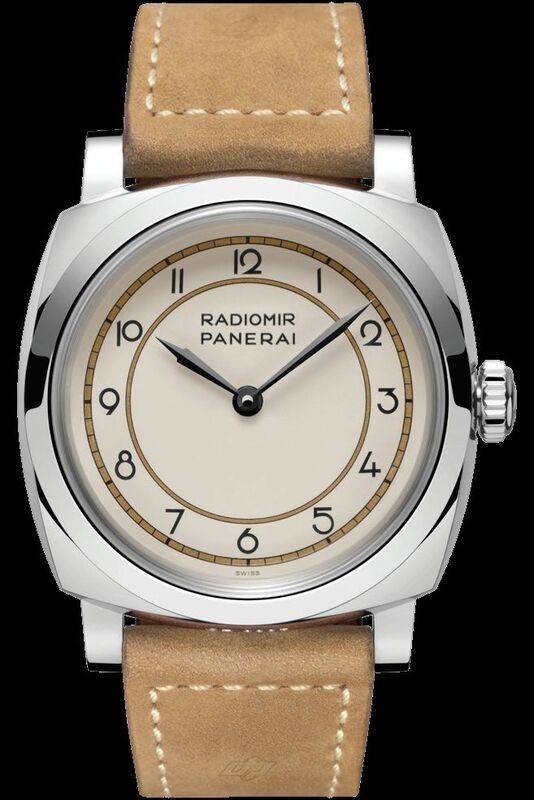 TimeZone : Officine Panerai » N E W M o d e l s - Officine Panerai Radiomir 1940 3 Days "Art Deco"
Since it was founded in 1860, Florence's Orologeria Svizzera as the Panerai family's historic store was called was the watch and clock retailer favoured by the aristocracy and upper classes of Florence. In fact, even before it created the first models for the Royal Italian Navy, the Panerai boutique was selling pocket watches, wristwatches, table clocks and magnificent pendulum clocks from the best makers, and its exceptional stock of these clocks was displayed on the first floor of the shop which still today is situated facing the Baptistery of Florence. 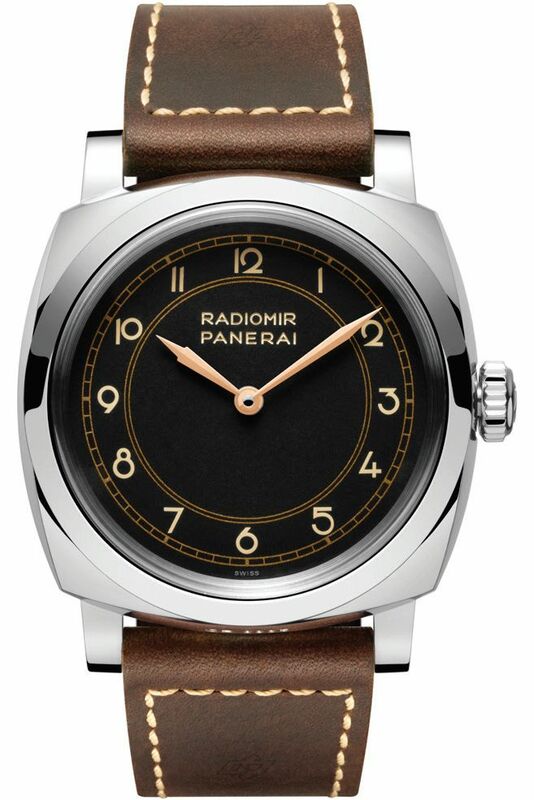 The dial of one of these pendulum clocks was the original inspiration for a new creation in vintage style by the Panerai Manufacture: the Radiomir 1940 3 Days Acciaio. The case, in stainless steel, measures 47mm. It has a Plexiglas crystal, a sapphire display back, and it is water resistant to 100 meters. Movement is the Swiss manual-wind Panerai in-house caliber P.3000 with 21 jewels, 21,600 vph and a power reserve of 3 days. It has three brushed-finish bridges protecting the mechanism and the bridge with twin supports on which the balance 13.2 mm in diameter (3 Hz) is firmly mounted. 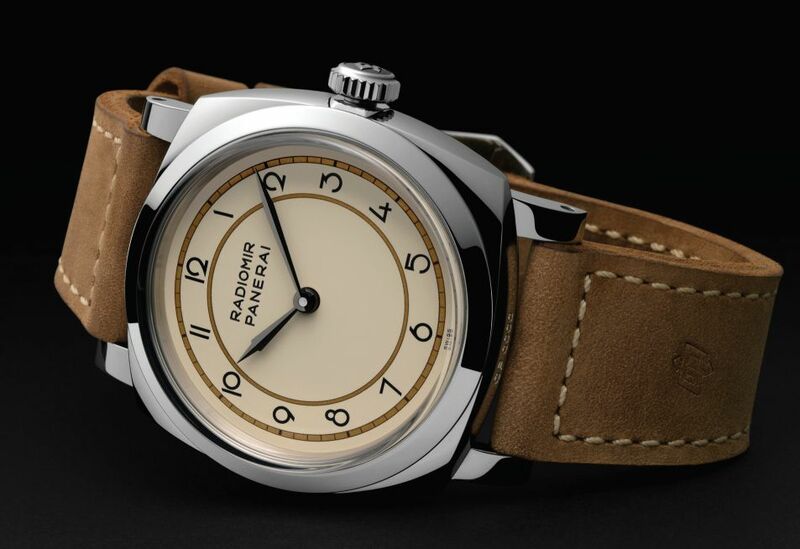 The P.3000 movement also has the device by which the time can be swiftly adjusted: it enables the hour hand to be moved forwards or backwards in jumps of one hour at a time without interfering with the movement of the minute hand or the running of the watch. Functions are: hours and minutes. The dial is available in black or ivory with Arabic numerals. Large figures printed in an Art Deco font between the railway track chapter ring indicating the minutes and a smaller ring within it. 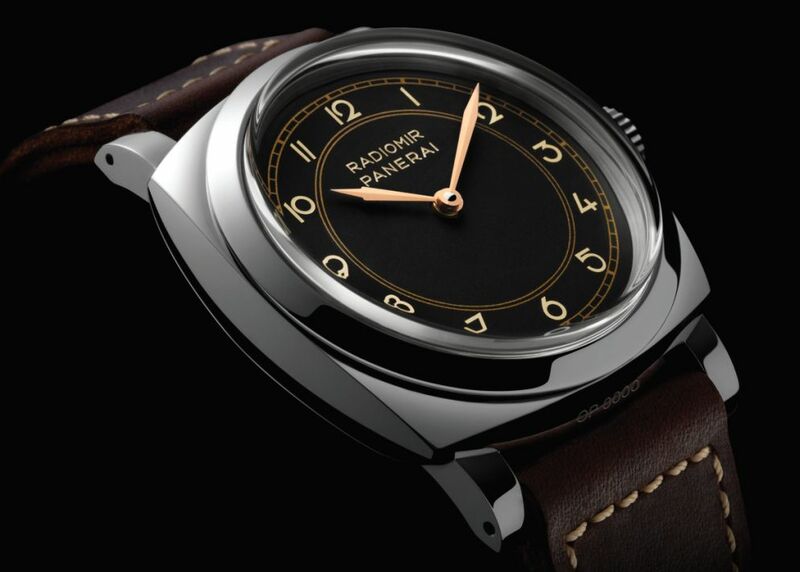 The tapered, spear-shaped hour and minute hands appear in a Panerai design for the first time. It comes on a black or tan natural leather strap with contrasting beige stitching and a steel buckle.